Some of the greatest show dogs in the world at the National Dog Show presented by Purina, seen Thanksgiving Day at noon (all time zones) following the Macy’s Thanksgiving Day Parade on NBC. 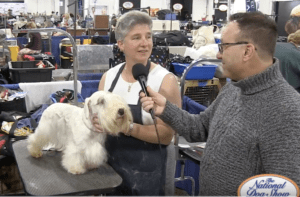 Sniffing around behind-the-scenes, I had the chance to ask exhibitors and handlers all sorts of questions at the National Dog Show….including why should their dog be Best in Show? 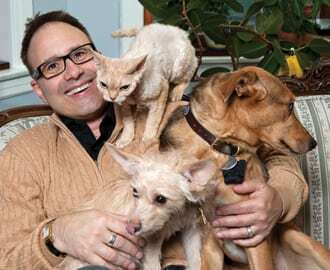 What is that show dog really like at home? What is an unusual fact about your breed? 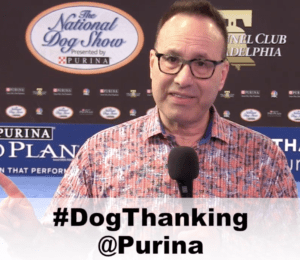 From now through November 25 if you (hashtag) #dogthanking on Instagram, Facebook and/or Twitter and offer a sentence or phrase on why you are thankful for your dog and tag @Purina, $1 goes to the Tony LaRussa Animal Rescue Foundation Pets and Vets Program, which he talks with me about about in this Facebook Live. The program pairs shelter dogs with veterans who have returned from combat with post traumatic stress disorder syndrome. 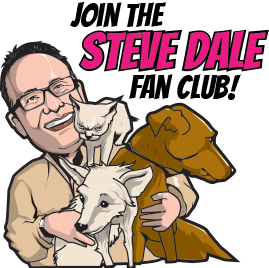 In the Facebook Live, I also speak in FAR Lourdes Edlin, lead dog trainer of the Incredible Dog Challenge, who also has trained dolphins and is now training dogs to find large lizards – it’s a fascinating conversation!